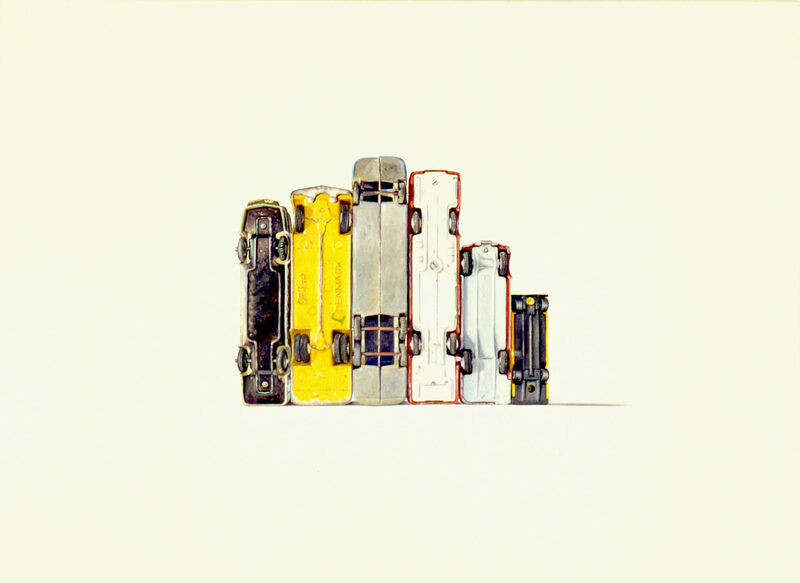 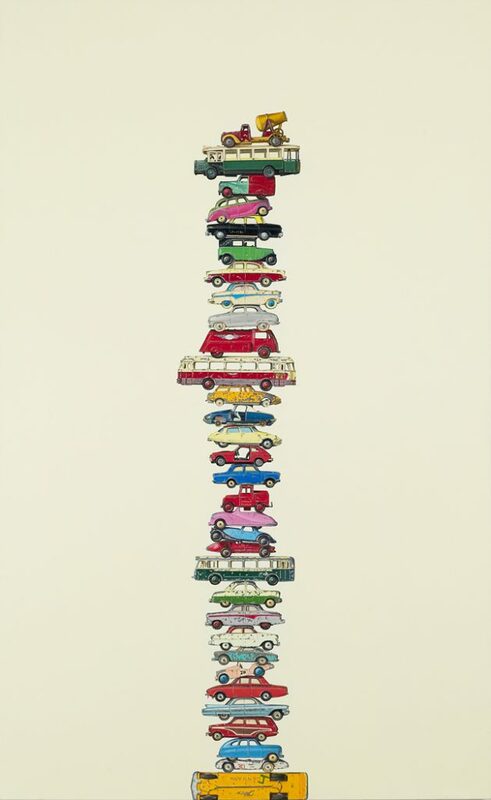 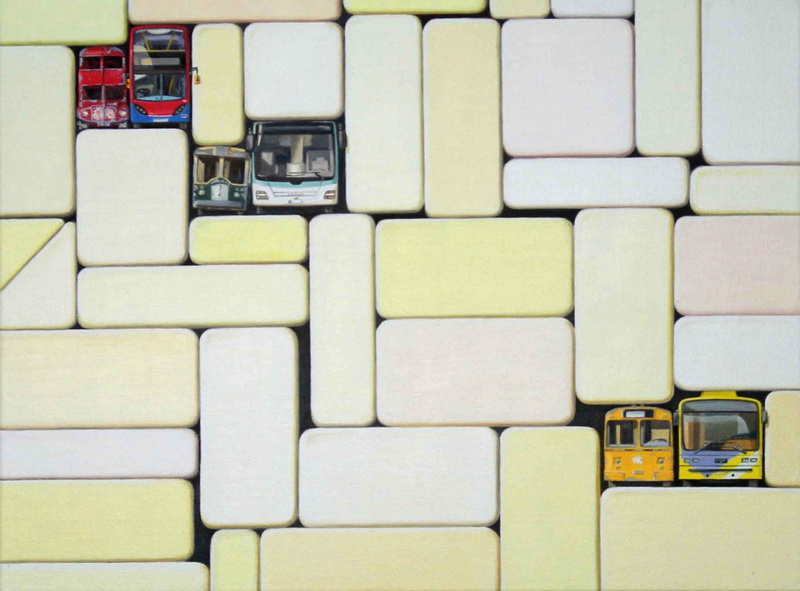 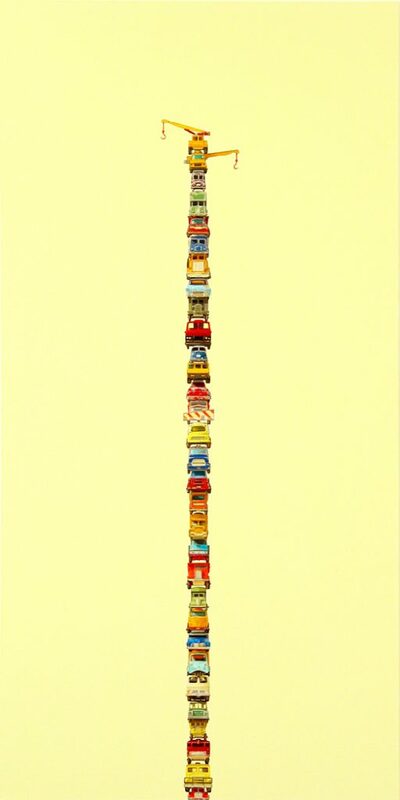 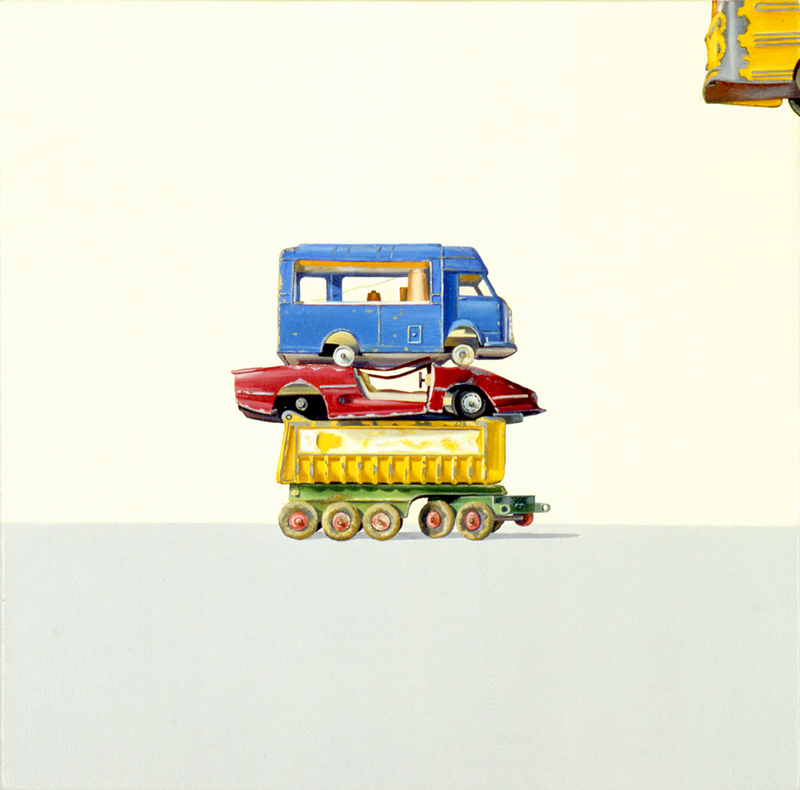 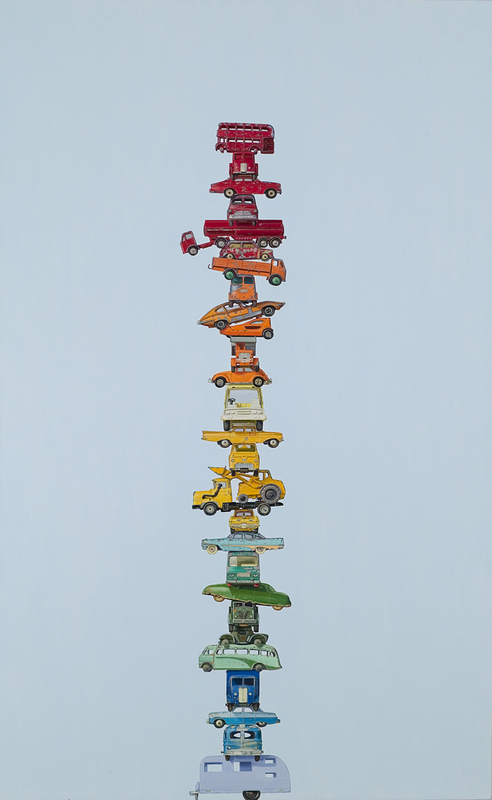 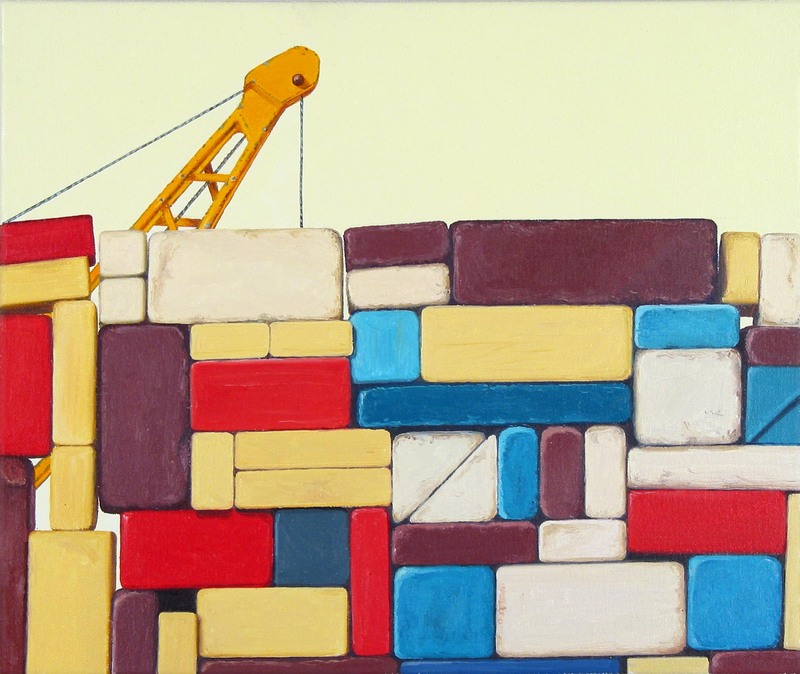 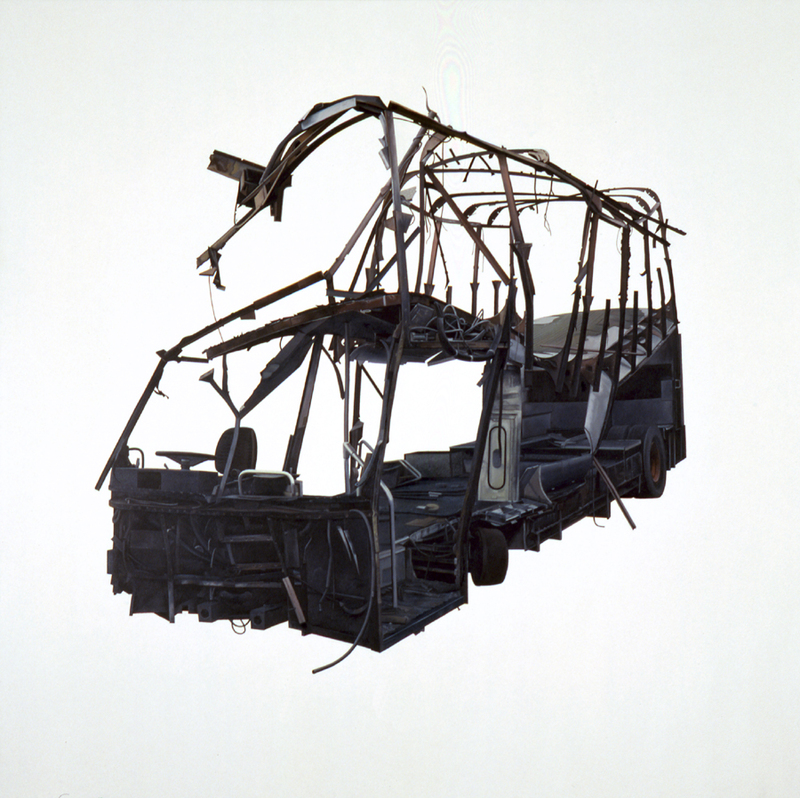 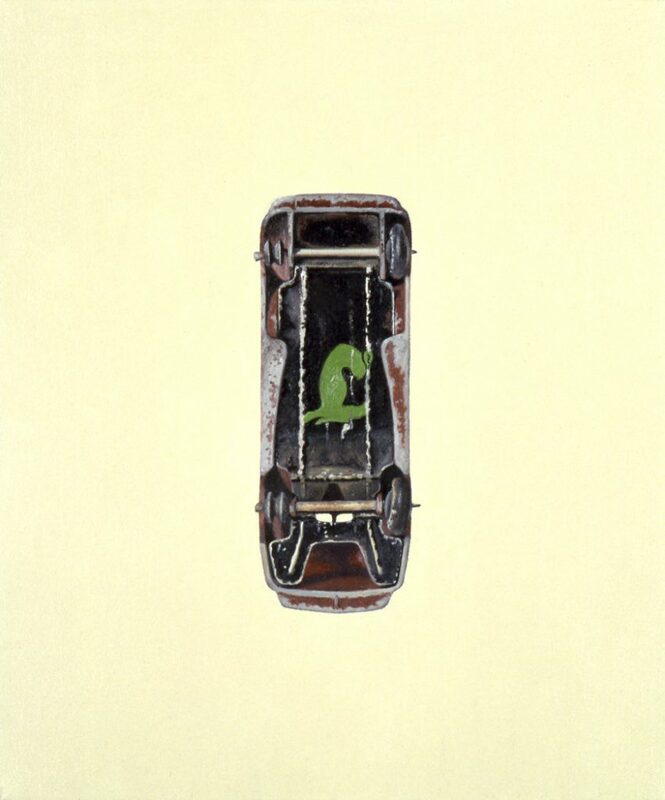 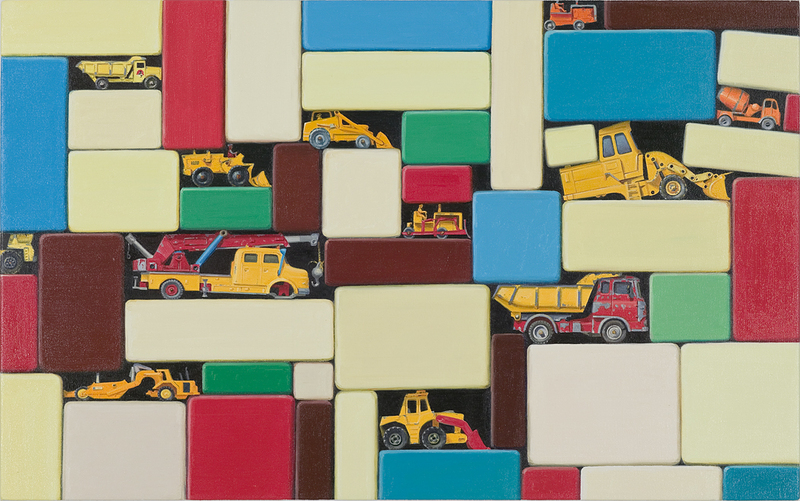 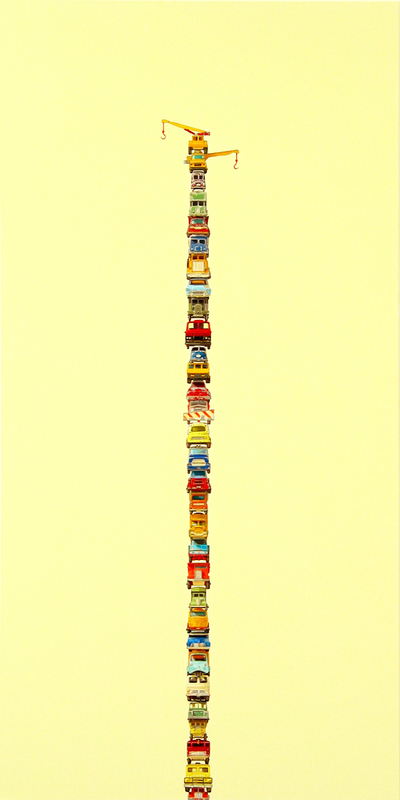 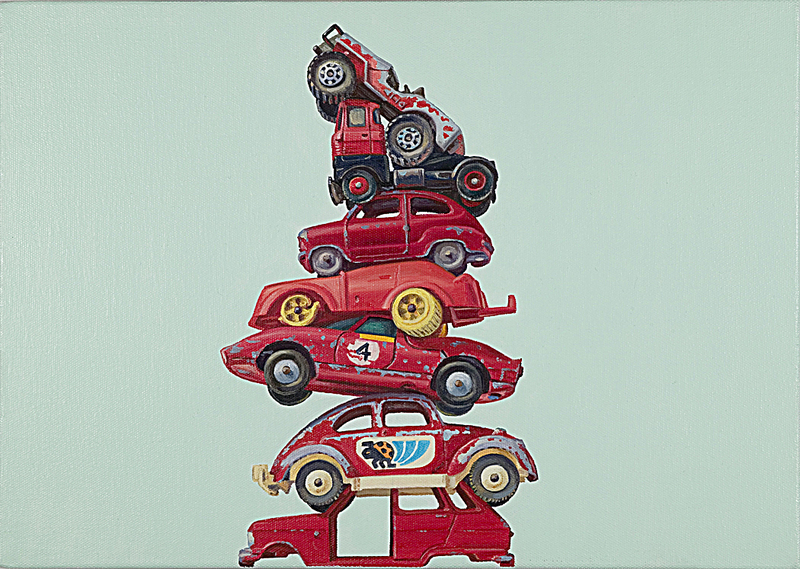 The meticulous reproduction of all kinds of vehicle on canvas unveils Jeremy Dickinson’s lifetime passion for means of transportation such as buses, cars or even cranes and containers. 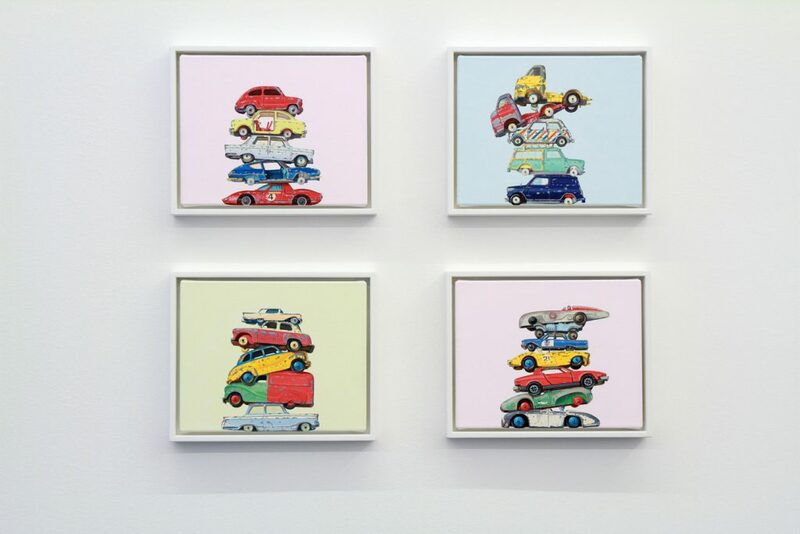 Dickinson is fascinated by these miniatures as when he was a child. 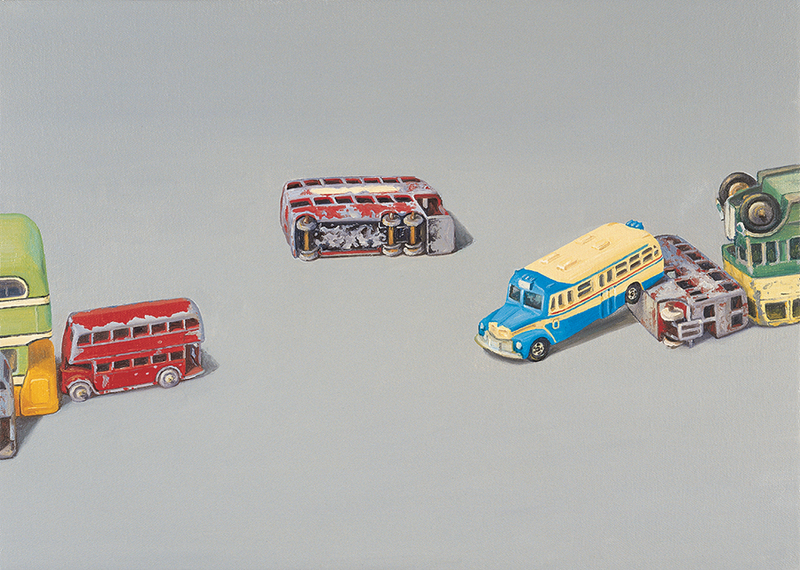 If, at first glance, these paintings seem to be representing reality, the model collector will quickly understand that they are in fact only toys. 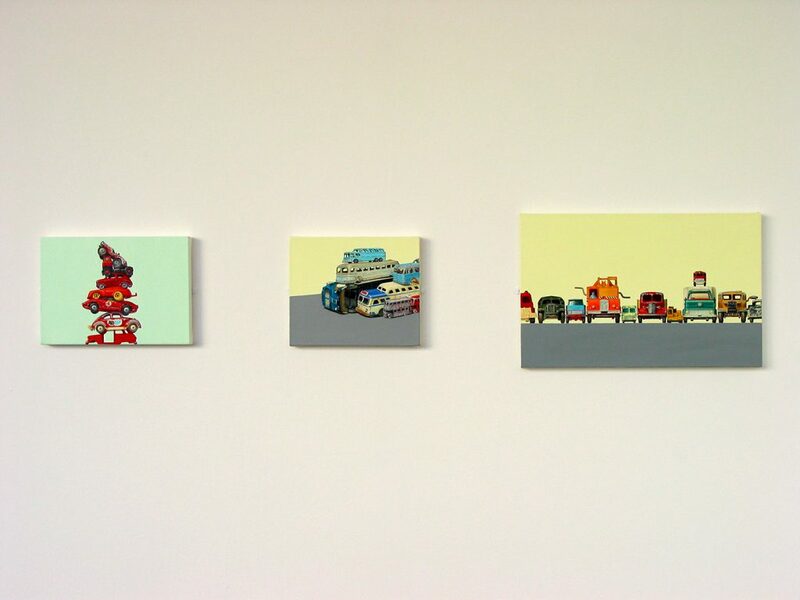 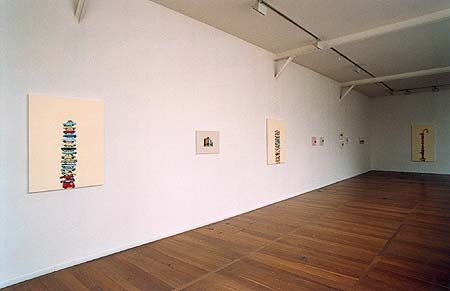 The backgrounds of each of those canvases, usually gray or off-white, sometimes with pastel tones, are deceiving us on the type of model because of the scale ratio. 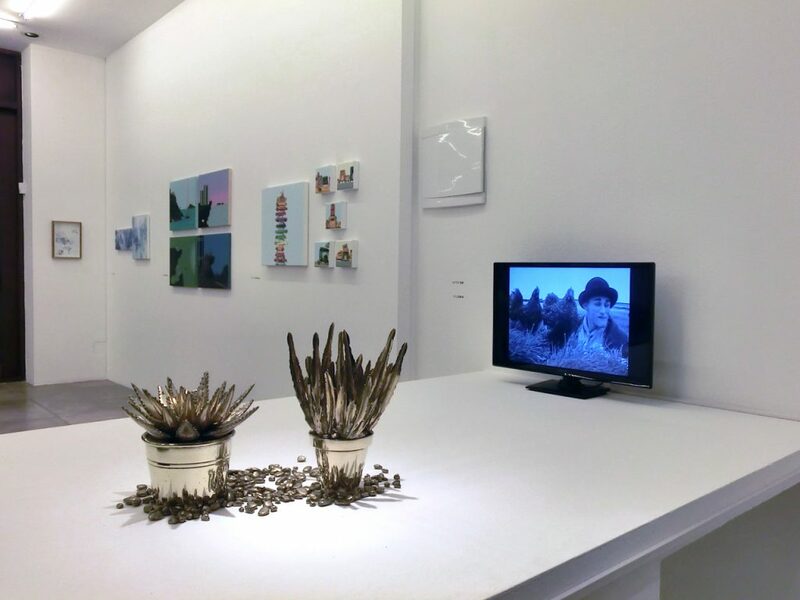 Jeremy Dickinson chooses to represent a world that is not his anymore, mixing childhood spontaneity to adult remoteness and rigor.